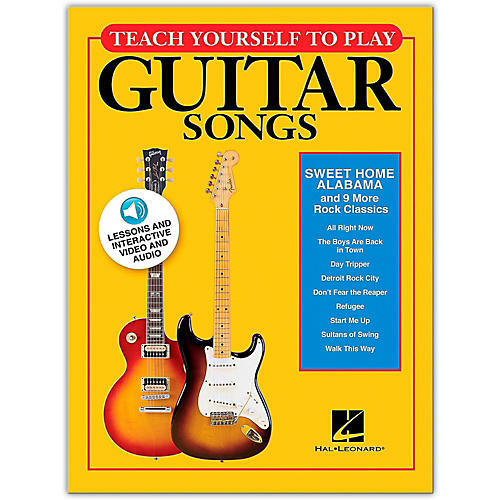 Teach yourself to play your favorite songs on guitar with this multi-media learning experience! Each song in the book includes a comprehensive online video lesson with an interactive song transcription, slow-down features, looping capabilities, track choices, play-along functions, and more. The price of this book includes access to all of these online features! This edition will teach you 10 rock classics: All Right Now (Free) • The Boys Are Back in Town (Thin Lizzy) • Day Tripper (The Beatles) • Detroit Rock City (KISS) • Don't Fear the Reaper (Blue Oyster Cult) • Refugee (Tom Petty and the Heartbreakers) • Start Me Up (The Rolling Stones) • Sultans of Swing (Dire Straits) • Sweet Home Alabama (Lynyrd Skynyrd) • Walk This Way (Aerosmith).